Cove Park is delighted to be a partner with Louise Welsh and Jude Barber’s Empire Cafe project, and we will be hosting the poets Fred D’Aguiar, Millicent Graham, Dorothea Smartt Sasenarine Persaud and Malika Booker. The Empire Café is a week-long event exploring Scotland and the North Atlantic slave trade in the context of the 2014 Commonwealth Games. The Empire Café will be based in the Briggait (home of the Merchant’s Steeple) in Glasgow’s Merchant City for seven days in July 2014 (24th July – 1st August). 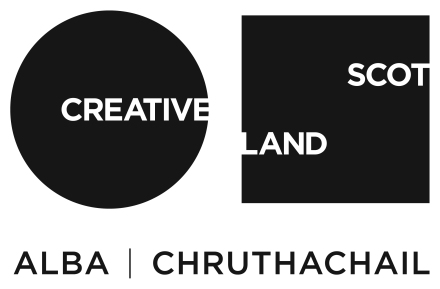 It will host a series of debates, musical performances, art installations, academic papers, literary readings, films, workshops, exhibitions and discussions exploring Scotland’s involvement in the North Atlantic slave trade. The Empire Café will also explore Scotland’s relationship with the North Atlantic slave trade through some of the products of empire – sugar, tea, cotton, tobacco . . . There will be a fully functioning café within the Empire Café serving dishes developed through a series of outreach sessions exploring the origin of their ingredients. We will be working with café operator McCune Smith, Bakery 47 and Dear Green Coffee. The Empire Café has also commissioned a series of twenty poems on the theme of Scotland and slavery from some of the most distinguished poets in Scotland and the Caribbean. The poems will be collected together in an anthology with a historical introduction from Stephen Mullen author of ‘It Wisnae Us, the truth about Glasgow and slavery’. Key contributors to the events programme include poet and playwright Jackie Kay, Dr Richard Benjamin of the Liverpool Slavery Museum, internationally acclaimed artist Graham Fagan, Hip Hop band Stanley Odd, poets Fred D’Aguiar, Millicent Graham, Dorothea Smartt, Malika Booker, Kei Miller; authors James Robertson, Andrea Stuart and Chris Dolan. More names will be confirmed. The Empire Café was partly prompted by a previous project undertaken by co-directors Jude Barber of Collective Architecture and the author Louise Welsh. In 2012 Jude and Louise collaborated on a series of sound installations Merchant City Voices exploring Glasgow’s relationship with the slave trade. The project won a 2013 Scottish Design Award.